Mark has been at Leightons for nearly 19 years, having come straight to the company from college. He enjoys meeting people and building a rapport with regular customers. 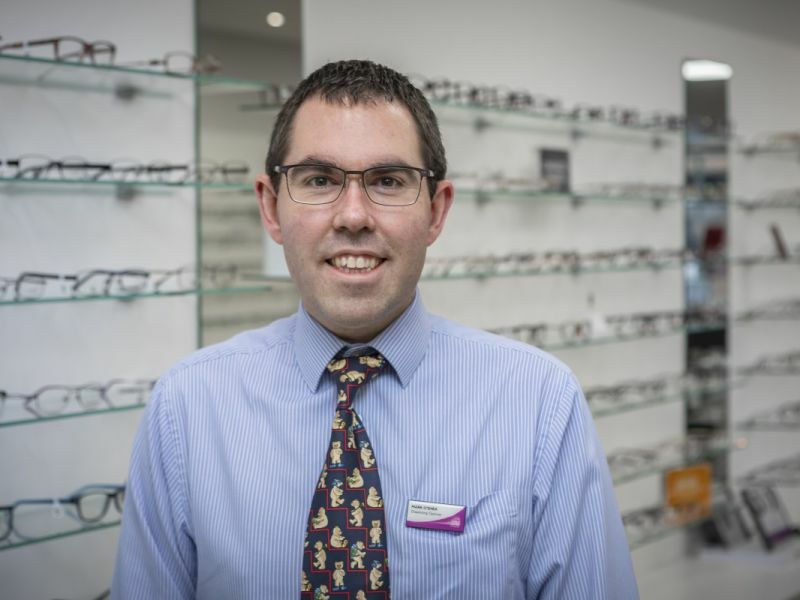 He says that "the greatest satisfaction is seeing someone leave the practice happy with their new spectacles, knowing that we've helped them to see better". Outside work, Mark is learning to speak Polish, and enjoys spending time with his family and pets as well as swimming and walking.